Well, I'm not too surprised with how things turned out this episode. An episode to explain some of the things happening in the background. 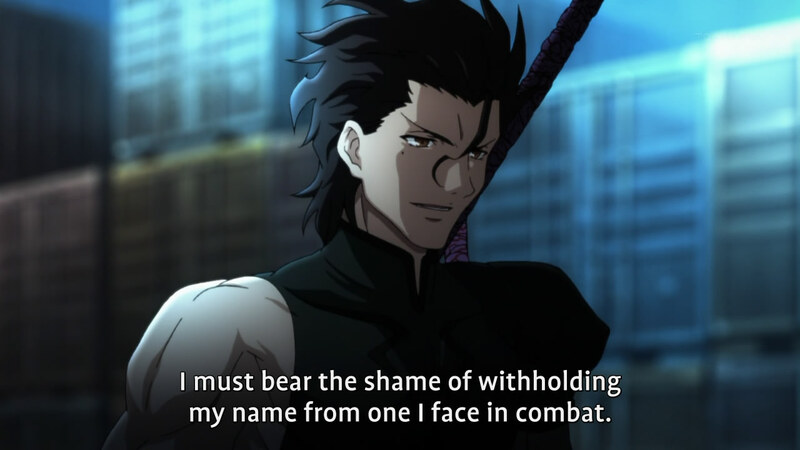 I am still disappointed we have yet to get any information about lancer's master and anything at all about beserker. 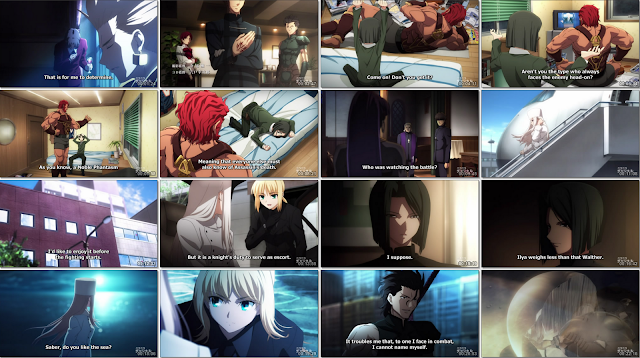 So much is still unknown, like why saber is such an awesome butler! Well I wasn't too surprised to see that assassin dying was a staged act. 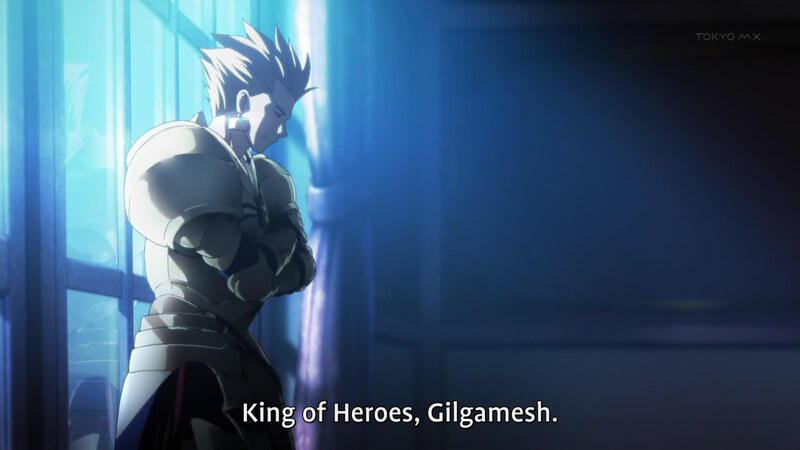 Apparently it was staged to keep Gilgamesh in line too, those two masters seem way to powerful together. What's more he is getting immunity inside neutral ground, that seems like cheating already. The question is when they actually play their cards, only a matter of time before they realize assassin is still alive. Still feels like this game is hugely skewed in their favour, best servant with support from judge seems imba. I am really hating rider's master, he is the worst master by far. Stuck up wussy that doesn't understand the world. A small time thinker, at least he was paired with a good servant. 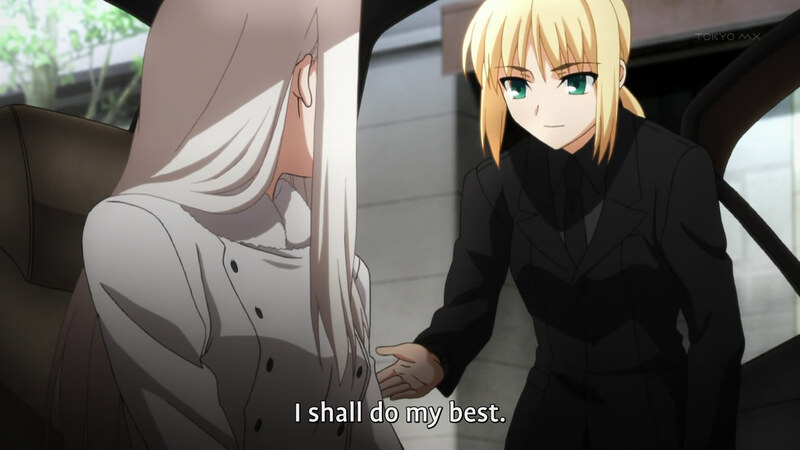 Alexander is my favourite servant personality wise, it is given that being a hero makes you arrogant but he is willing to teach knowing his master which is clearly inferior to him. Something about his more heroic "kingly" attitude just feels better then the rest. 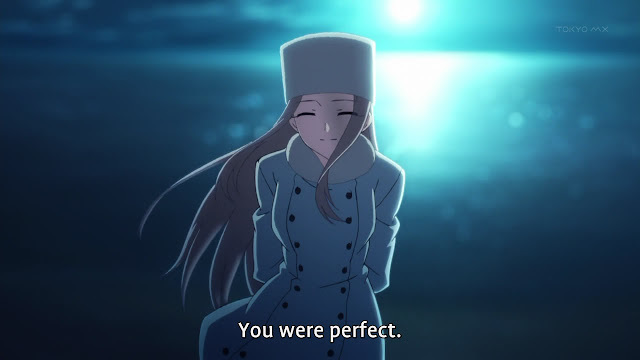 We also get to see how awesome of a reverse trap Saber is; A picture perfect butler if you ask me. I never really liked Saber much, but these scenes with her made me like her a bit more, but still subpar servant if you ask me XD The real treat is Saber's fake master, non-loli Illya, which almost as good as the loli version. 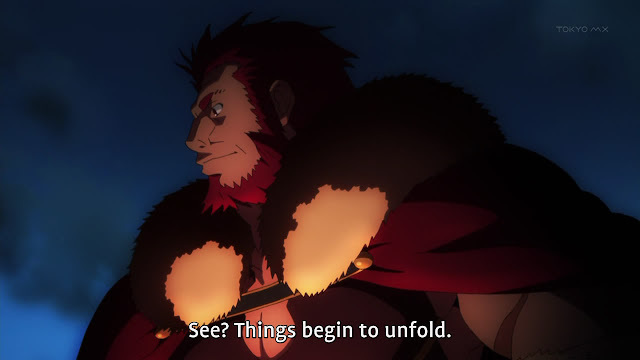 So the debut of another servant, Lancer. I really hope the battle actually happens and isn't interrupted with a random fake cliffhanger. I see Saber is still using the gimmicky invisible sword, tsk tsk. So far, the second best show to look forward to every week, after Penguindrum, I am hopping for some epic fights between the heroes.